…maybe that is why I like them so much. They are just like mine!!!!!!! I do not do many large groups but I have worked with this family many times and love them all! They are super sweet and fun! We were all cold, well I put a hoodie on, so they were all cold! 🙂 But the rain did stop long enough for us to get our images and head back inside for homemade cookies and treats. ummm Thank you Mrs H~ yummy cookies! The backyard is so phenominal it should be in Better Homes and Gardens. WOW!! 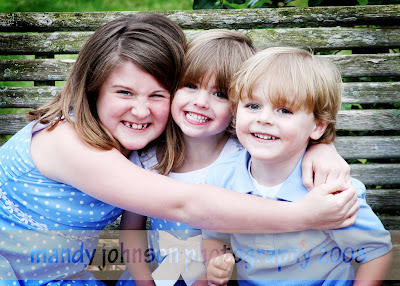 Here are the spunky ones cheesing it up for me! This is the whole group. 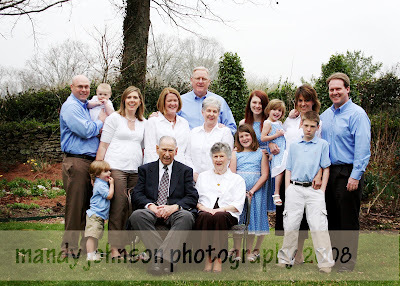 Great grandparents, grandparents, parents and kiddos! Here we have the mom and dad and the crew they created! Such a loving and sweet crew too! Thank you guys for letting me be apart of your family for the day! Hope you enjoy your sneak peak!